Q & A: How to wash moss (and why)? 53-Year Old "Bottle Garden" Terrarium! Q & A: How to quarantine plants and moss (and why)? 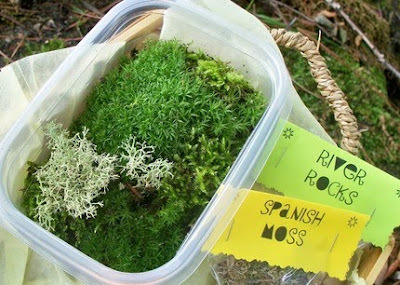 I have seen a few of these "make your own terrarium" kits which sell moss, soil, gravel etc. for you to arrange your own terrarium in a jar of your choosing. For a while I thought they were a silly idea but- it's true that sometimes you don't want to buy a whole flat of moss or a whole bag of the dried stuff to try out your first terrarium. Maybe this is a great start for a beginner. Ready to make your own terrarium? Make sure you have the right supplies on hand before you begin. Form the solid foundation for a healthy terrarium. Tips for planting in tight spots! Do I need to wash my moss before I put it in a terrarium? Why should I quarantine plants and moss before I plant them in a terrarium? Are moss terrariums easy to care for? How to make an orchid terrarium? Join Lauren Linn Sears for her amateur naturalist musings and terrarium tips! Have questions? Email at thefernandmossery@gmail.com.